Reminder: Last week I posted the directions for the first formal written assignment: a review of the Dutchman play at the Castillo Theatre. You should go see it as soon as possible and take good notes when you do. It costs only $20 for students and has showings Thursdays-Sundays. I strongly recommend seeing it this weekend (before we read it in class), but it runs until March 5th. Don’t wait until the last minute: tickets might sell out! The assignment sheet’s on the Assignments page. For Thursday February 26th:, we take a sharp turn and read the classic play Dutchman from Amiri Baraka (then named LeRoi Jones). For Tuesday, read only the first half of the book :the play Dutchman. Even though it’s short, you need to read it slowly and carefully. What are the key themes or topics that you think the play talks about? How does the setting of the play affect the action? What role does the subway train play? What does it say about life in the city or urban environments? There are crucial points in the play where the plot (action) turns that decide the outcome. What do you think they are? Read the final few pages of the play more than once. What’s the significance of Clay’s final speech? We will also have a special guest speaker, Don Ramon of Rutgers University, to facilitate the discussion and present the play. Watch the following short YouTube video with Baraka discussing the context of the play and some of what influenced him to write it. Donavan L. Ramon earned his B.A. in English and the Special Honors Curriculum at Hunter College (CUNY), where he was a Mellon Mays Undergraduate Fellow. A specialist in African American Literature, he earned his M.A. in English at Rutgers University in 2012 and is now writing a dissertation that traces a genealogy of twentieth-century narratives of racial passing. Donavan coordinates the African American Graduate Interest Group at Rutgers where he is also a graduate assistant at the Center for Race and Ethnicity and he serves as the Member-at-Large for Diversity with the Northeast Modern Languages Association (NeMLA). For Thursday, March 5th, we move on to Miguel Piñero and read poetry selections from Outlaw: The Collected Works. Start by reading the “Introduction to the Poetry of Miguel Piñero” at the beginning of the book. We’ll also have our first presentation by Willy, Monefa, and Benjamin to start the class. It’s not a lot of reading, however, you must read the poems slowly and carefully and choose 2 of them to read more than once. Take notes on key points that you think are significant, funny, interesting, or do a nice job of telling the story of the city. Spend extra time on “La Bodega Sold Dreams” and “A Lower East Side Poem”. Based on Piñero’s biographical context, how do his stories match the life he’s living? How do the characters in Piñero’s descriptions of “Loisaida” (Lower East Side) differ from Pietri’s characters in El Barrio? What picture is Piñero drawing of his neighborhood? Reminder: Be sure to make plans to see Dutchman if you haven’t already before it closes! Also, keep working on your papers, which will be due shortly. 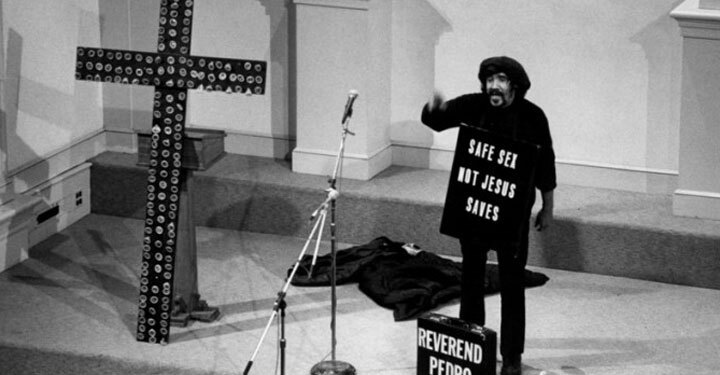 review the key points of the Juan Flores essay that we covered Tuesday 2/5 — the points he makes here are key to the course — and the interview with Pedro Pietri (PDF on the Readings page). Next, start on the section from his book Puerto Rican Obituary, also posted on the Readings page as a separate PDF. Focus on the following poems: “Puerto Rican Obituary”, “The Broken English Dream” (Note: “Puerto Rican Obituary” is both the title of his most well-known poem and the title of the book it’s from), “Suicide Note from a Cockroach”, “Love Poem for My People”, “Unemployed” and “OD”. How are points from his personal outlook on religion, death, and the ambivalence toward the American Dream are reflected in the poems? The presentation I did in class on the first day is on the Lecture Notes page. Use some of the contextual questions to help guide your reading and what to focus on.